THANK YOU !!!! You are AWESOME. Kacey just left us $500 to be split: $250 to the Bitticks, $125 to Carol’s Mom, and $125 to the Hoovlers. 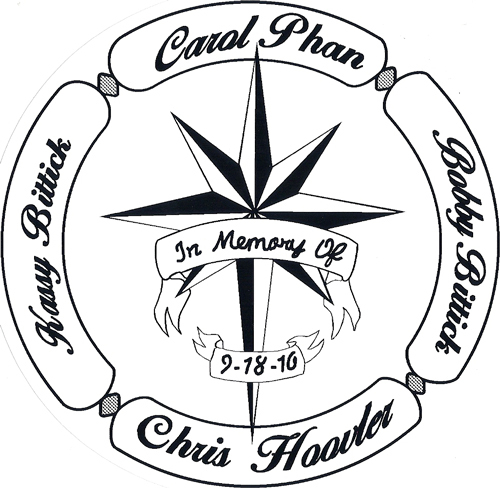 I’ll go with Lori to deliver the money and also chat with the families to see if they might want the Memorial I am working with the city of Tracy to try to get…. Oh yeah….Kacey left a bunch of stickers here (95 W. 11th Street, Suite 205). Stop by to grab one and show your love for Carol, Chris, Kassy and Bobby.